Capitol Paving of DC (the contractor) continued the work along Kennedy Street NW between Georgia Ave NW and North Capitol Street NW. 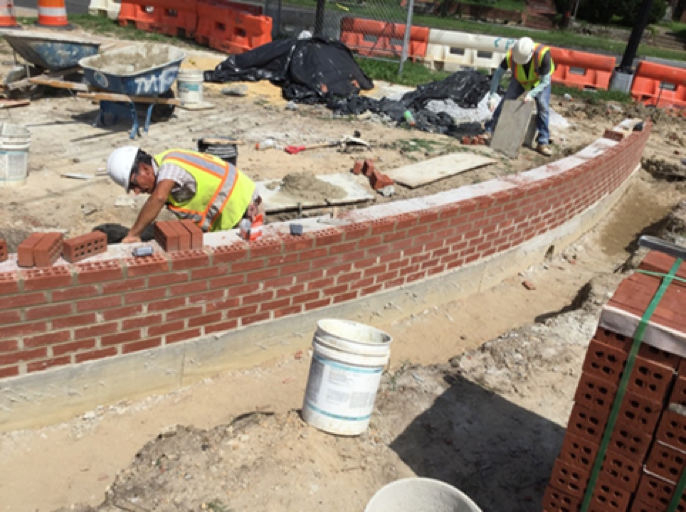 The contractor installed 125 square yards of brick sidewalk, 34 square yards of concrete sidewalk, 276 linear feet of straight granite curb and 16 linear feet of circular curb. 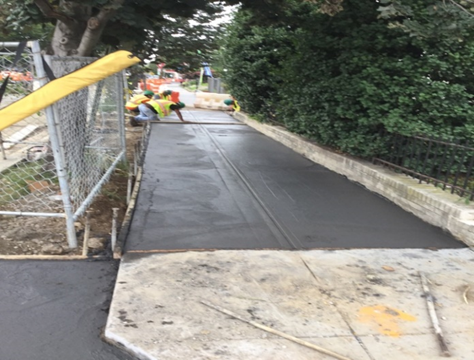 Capitol Paving also continued work at 100 block for the bio-retention area by finishing the 4 drywells and poured concrete for the foundation for the seat walls at BR-C2, BR-C4 and BR-C8. 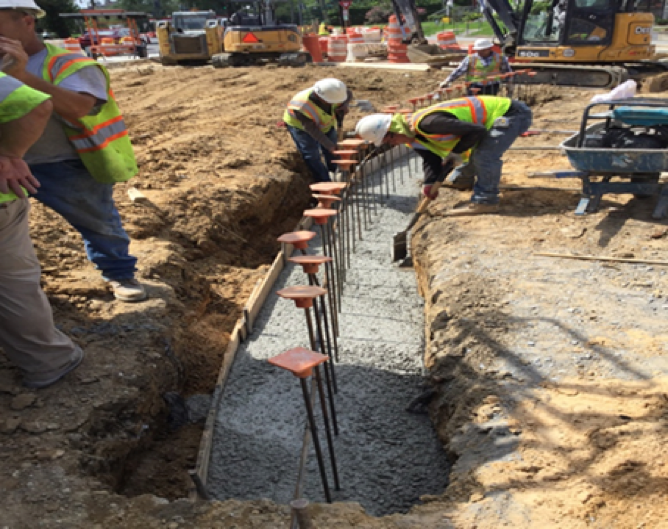 Jaxson Point (Capitol Paving’s sub-contractor) performed the electrical work by installing six (6) foundation for transformers and 10 linear feet of 2-4” and 2-2” PVC electrical conduit. Capitol Paving of DC (the contractor) continued the work along Kennedy Street NW between Georgia Ave NW and North Capitol Street NW. 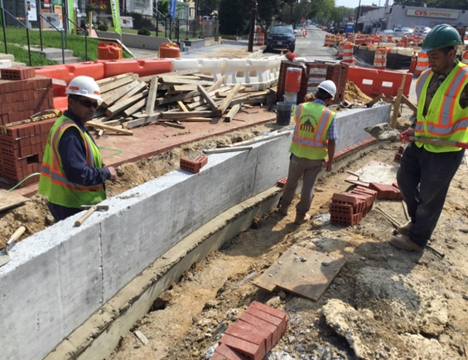 The contractor installed 81 square yards of brick sidewalk, 34 square yards of concrete sidewalk, 30 linear feet of straight granite curb, 22 linear feet of circular curb, 10 linear feet of brick gutter and poured two (2) wheelchair ramps. 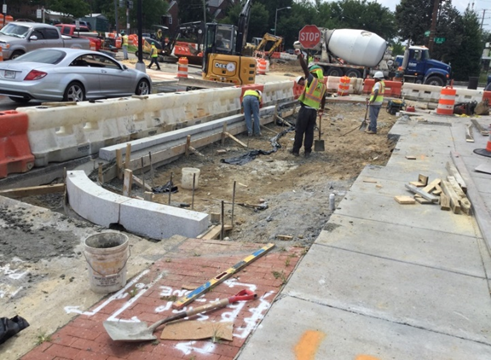 Capitol Paving also continued work at 100 block for the bio-retention area by installing 1 drywell/ leaching chambers. 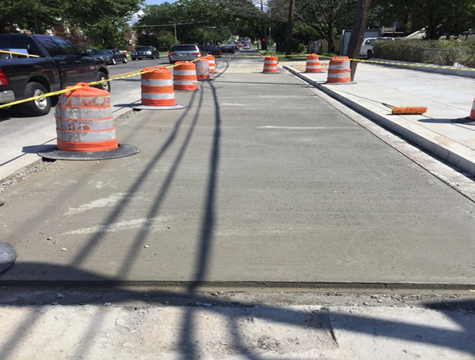 Jaxson Point (Capitol Paving’s sub-contractor) performed the electrical work by installing two (2) foundation for traffic signal, 14 linear feet of 1-4” and 1-2“PVC electrical conduit and 10 linear feet of 2-4” and 2-2” PVC electrical conduit. 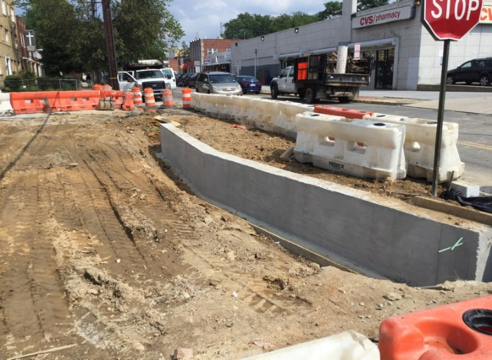 DC line subcontractor marked the Kennedy Street NW between 2rd Street and 4th Street. Capitol Paving of DC (the contractor) continued the work along Kennedy Street NW between Georgia Ave NW and North Capitol Street NW. 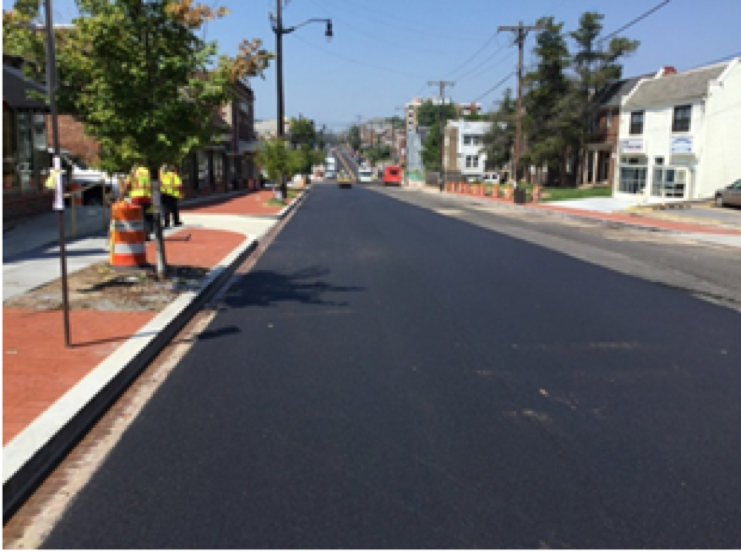 The contractor Paved Kennedy Street between 3rd Street NW and 4th Street NW. 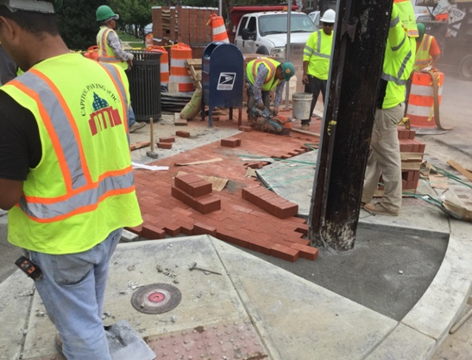 Capitol Paving also installed 166 square yards of concrete sidewalk, 61 square yards of brick sidewalk, 241 LF of straight granite curb, 13.5 LF of circular curb, 90 linear feet of brick gutter and poured two (2) wheelchair ramps. 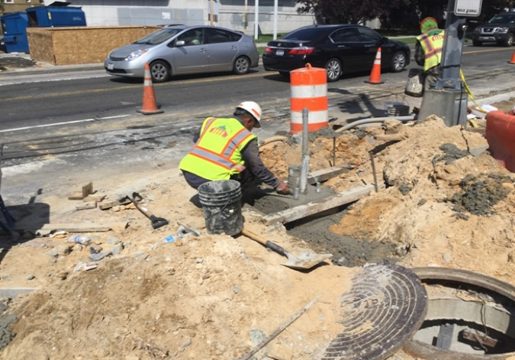 Jaxson Point (Capitol Paving’s sub-contractor) performed the electrical work by installing two (2) foundation for traffic signal, 18 linear feet of 1-4” PVC electrical conduit and 13 linear feet of 4-4” PVC electrical conduit.